Looking for a fast-paced slasher game to fill up your evening? Dark Slash Ninja, which is by no means a new game on Android, was released onto Google Play back in April. Unfortunately, we are only just now finding it, mesmerized by its simplistic pixelated styling and relentless ninja slaying action. 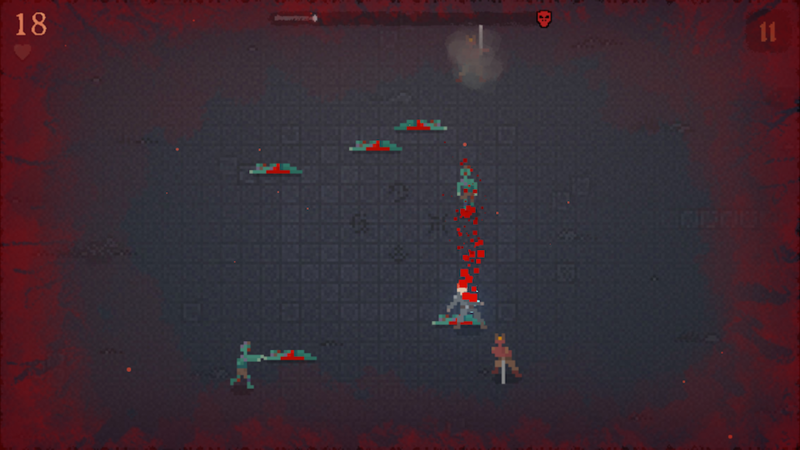 In the game, you play as a quick-moving ninja, armed with a destructive blade. As hordes of baddies come at you, you quickly swipe through them with your finger, leaving nothing but bodies on the floor. As you progress, you are met with more difficult opponents, such as archers, other swordsman, and creatures that I can’t exactly describe. They’re evil, though. The game is free to download from Google Play, but does feature a few IAPs to rid the game of ads. If you like ninjas and pixels, check it out.